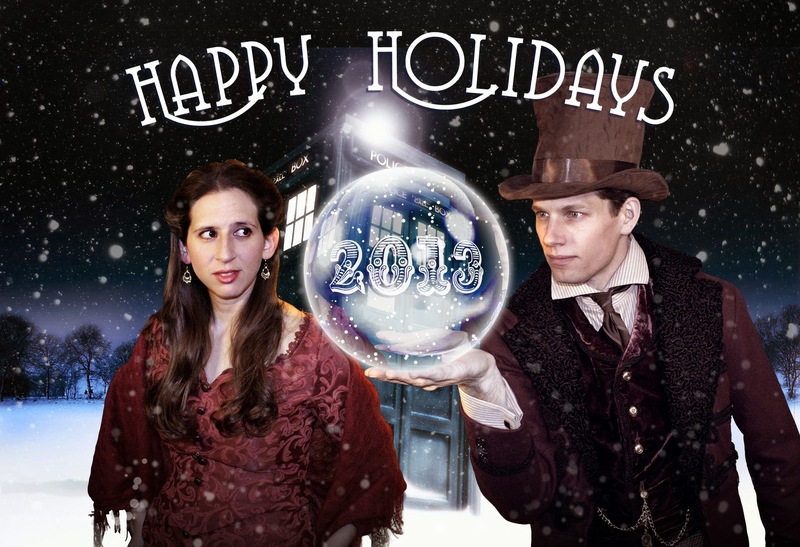 Lynette was making Clara’s barmaid dress from The Snowmen for Chicago TARDIS 2013, and I wanted to make The Doctor’s costume from that episode to go with her. 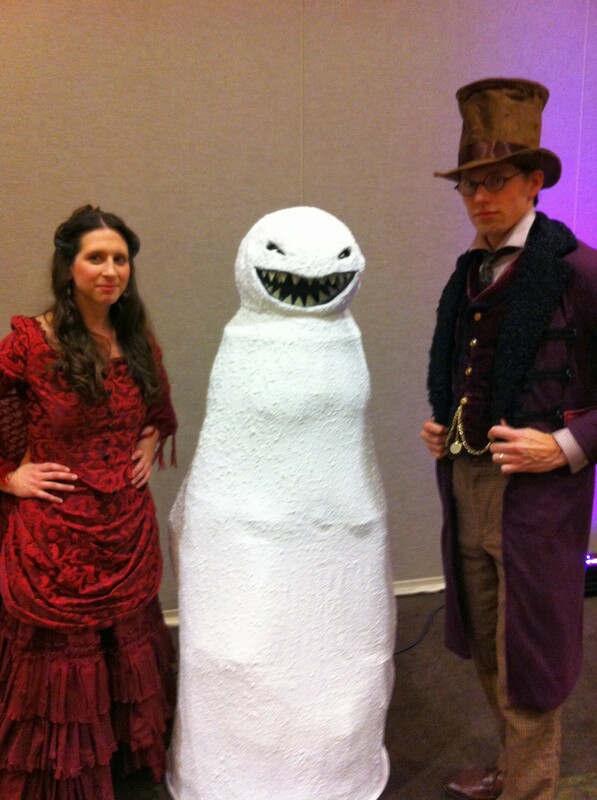 This project was a bit unusual for me in that it was all sewing and no props to build. 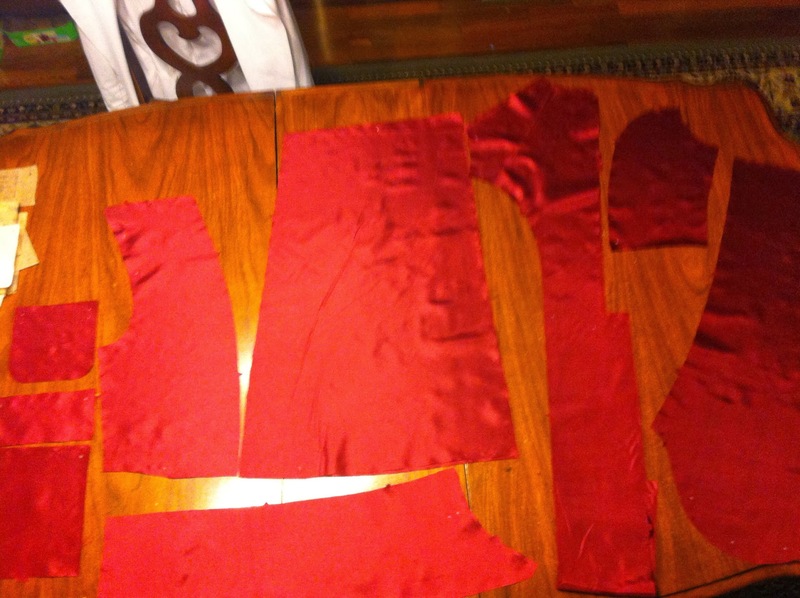 Lynette is usually kind enough to make any soft costume parts I need, so this was something of a new challenge. 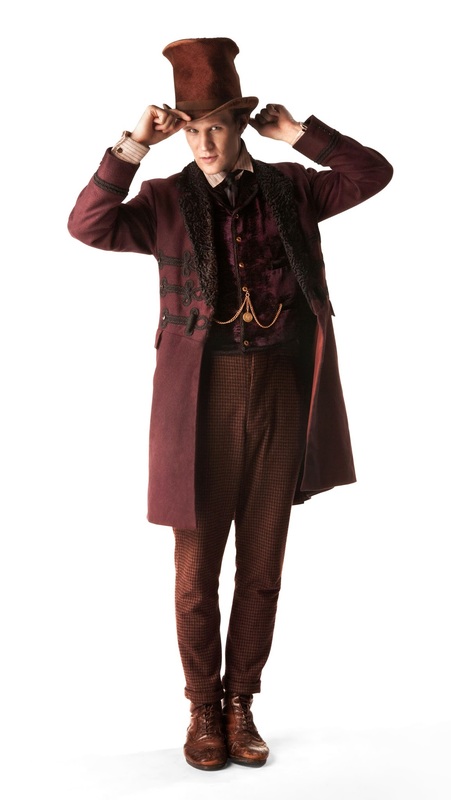 He wears a plum/maroon/wine/purple frock coat with persian lambswool lapels and collar, a somewhat darker velvet waistcoat with a watch fob, a striped shirt with cufflinks, a brown and blue striped tie, tan/brown checkered wool trousers, leather brogue ankle boots, and a top hat. 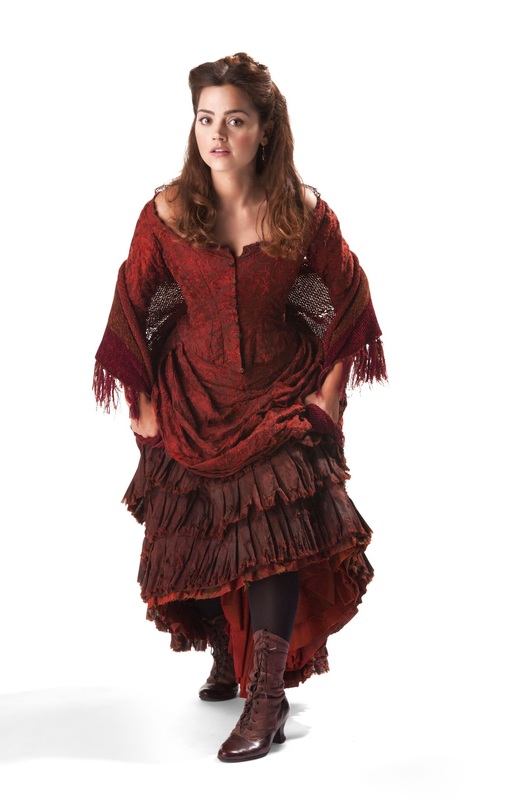 I really enjoy the scavenger hunt aspect of a costume like this, so immediately following DragonCon 2013 I got to work sourcing all the fabric, trim, and any off-the-rack pieces I’d need to find. 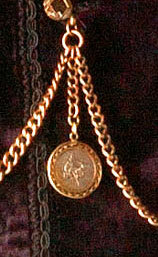 There are a few high-res shots of this costume, but even so the detail of the watch fob is difficult to nail down. It appears to be silver with a braided gold frame or outer border. To my eyes there looks to be a seated figure. My searches did not yield anything that satisfied me, so I ended up getting an Italian 1 Euro coin, and a coin bezel, which I hung from a length of gold chain from Hobby Lobby. Since he never pulls out a pocket watch, I skipped that detail and just pinned the chain into the waistcoat pockets. I went off-the-rack here, and bought this french-cuff striped shirt in the brown colorway. 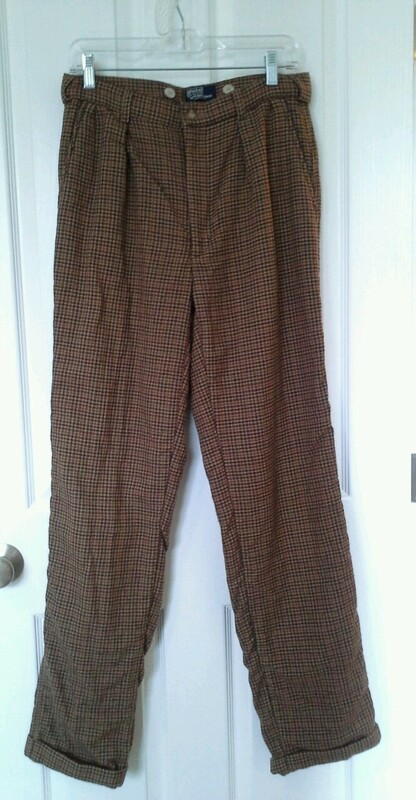 I got these from ebay, so there’s no good link, but I bought a pair of vintage Polo Ralph Lauren wool trousers. 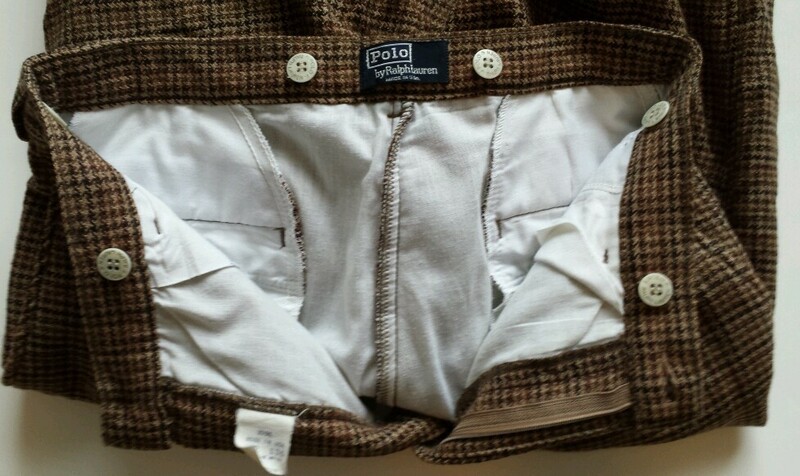 They have a brown houndstooth pattern that at the time I thought was screen-accurate, but it turns out his were actually checked/plaid. They are identical from a distance. Another ebay score, I got a great deal on a pair of Steve Madden Evander boots in my size. 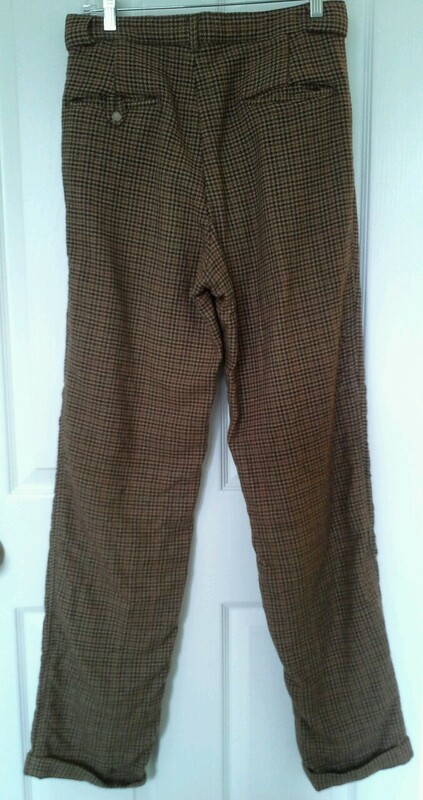 I now wear these as part of my normal wardrobe. This turned out to be one of the hardest materials to find. I ordered samples of every plum/merlot/purple/etc. velvet-like material I could find from online fabric stores, and nothing was looking right. One day while browsing a thrift store, I found a girls’ dress or women’s blouse that I thought was the perfect color. It was a little thicker than I wanted, but the color was what I wanted so I bought it. Unfortunately, even though I wasn’t making the back of the waistcoat out of it, I still could only salvage enough material for one side of the waistcoat. Rather than do something sane like settle for the second-best choice, I scoured ebay for another one, and ACTUALLY FOUND IT. It was $10, and I got less than a yard of usable material from it, but I finally had something that worked. (The picture below is a similar blouse in a different color I found on Etsy.) 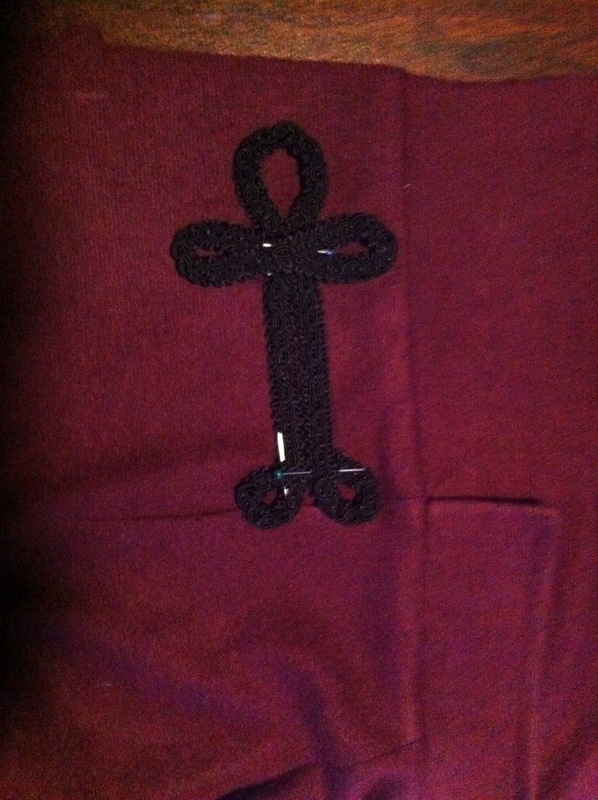 I also needed a load of black trim, since the same trim is used on the waistcoat and the frock coat. There’s great reference material available, so I knew none of the standard gimp/trim I could find at my local fabric stores were correct. 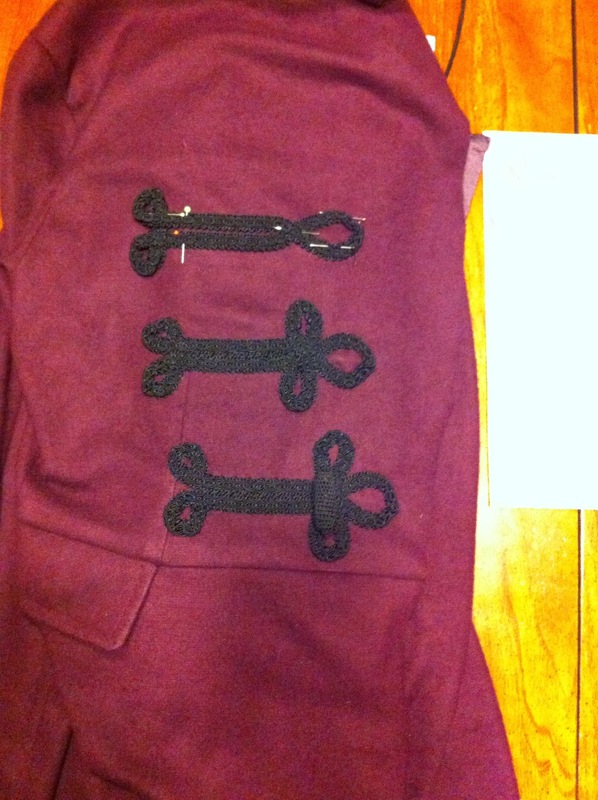 I ended up finding some at sewing-online.com. Certainly the most visible portion of this costume, it took the longest and forced me to learn new skills and techniques. Looking at my notes and forum posts, I have no record of the fabric I used for the main body of the coat. It’s some kind of knit, though, not wool. Looking back now, it would benefit from some interfacing to give it a more weight/stiffness. I used a Simplicity pattern with little to no modifications, basically just extending the sleeves due to my lankiness. I chose a dark orange/red lining, since you couldn’t really tell what color it was from screencaps or publicity shots. 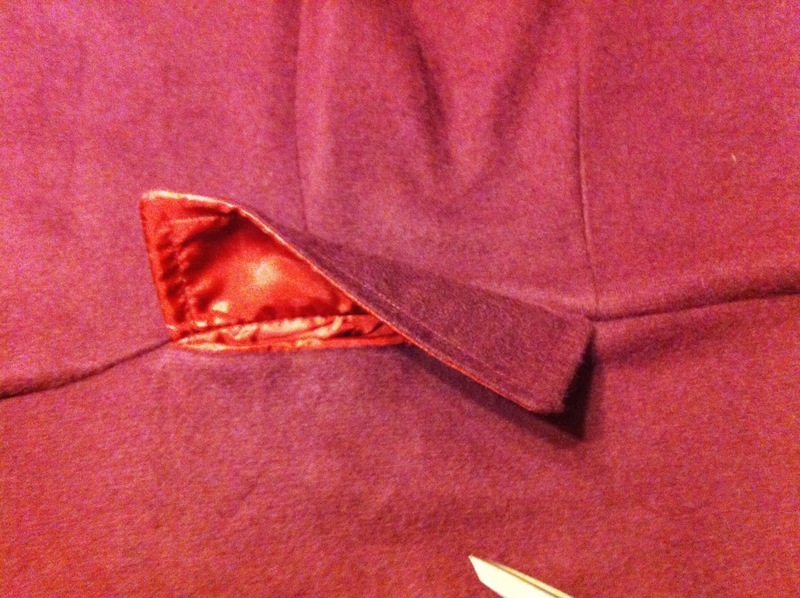 I snagged a damaged persian lambswool coat from Etsy, and used it for the lapels/collar. I got some round tortoiseshell glasses, similar to these. I found a tie at a thrift store, and bought a sonic screwdriver from Amazon. Finally, I constructed a top hat. I found some tutorials that people have made for making fabric-covered hats, usually for a mad-hatter costume. 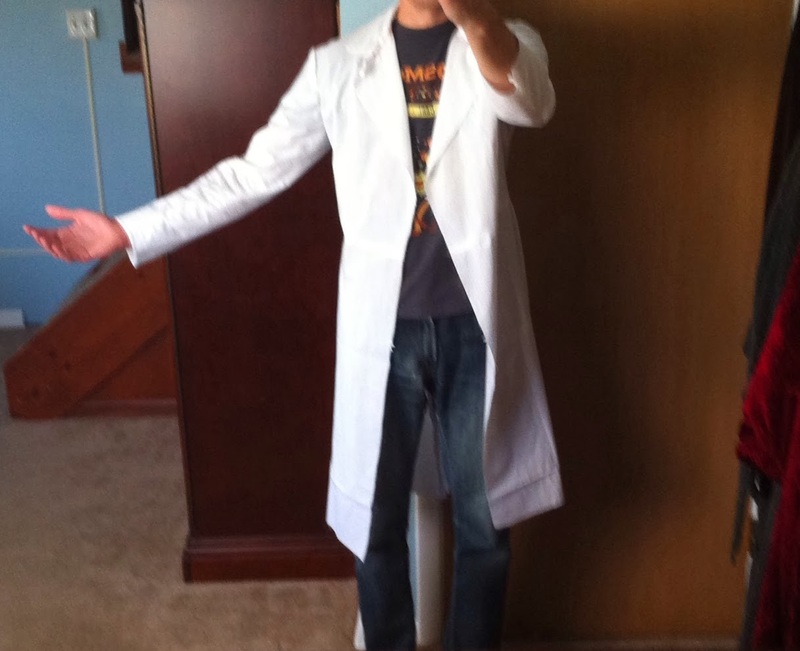 I had an old 10th Doctor(ish) overcoat that never really fit right and I hadn’t worn in years. I used that for the fabric, and constructed the hat using buckram and floral wire from Jo-Ann’s. The end result was pretty messy, but luckily for this costume it’s supposed to be a little beat-up so it worked. 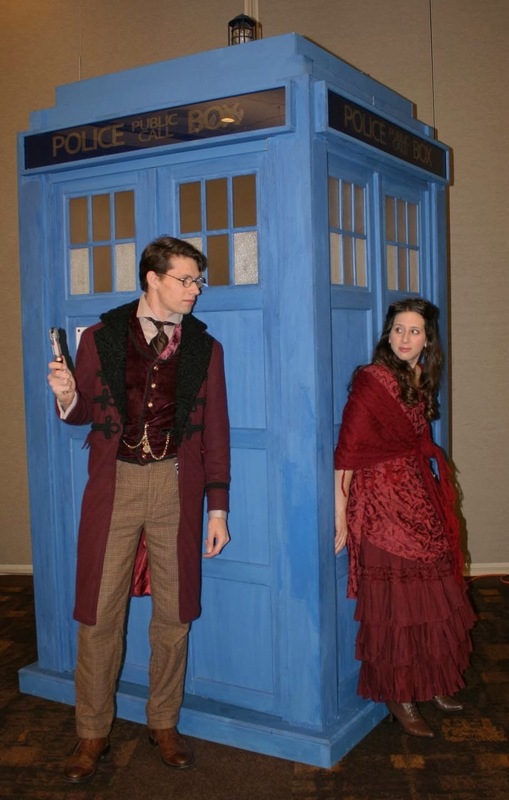 I finished in time for Chicago TARDIS 2013, and alongside Lynette as Clara, entered the costume contest for the first time. 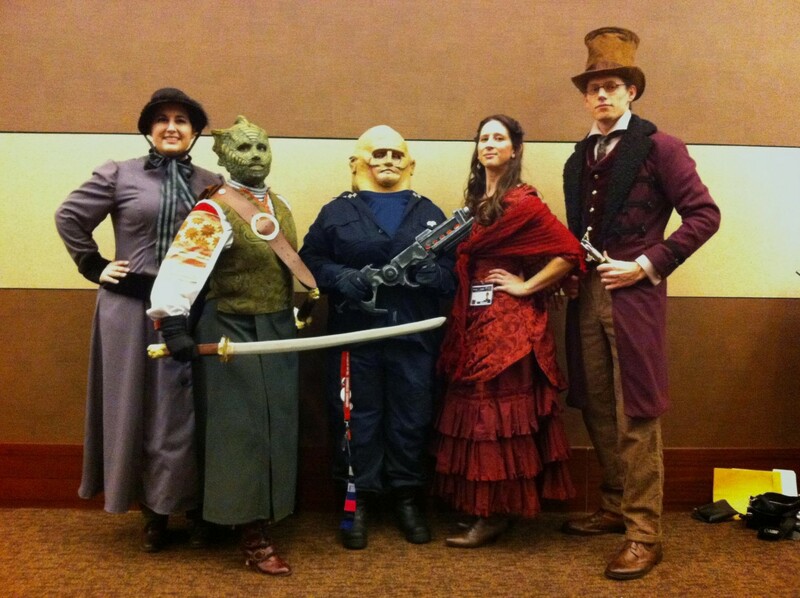 There were a ton of great costumes, but we managed to take home Best in Show!